The double doors open into a dimly lit meeting room of the Vancouver Convention Centre and in pour 100 wine aficionados, eager to taste the best of the pick at the Meet Your Match wine seminar hosted by Anthony Gismondi, wine columnist for The Vancouver Sun newspaper. This is day 6 of the 35th Annual Vancouver International WIne Festival, this year celebrating California Wines and Chardonnay from around the world. At the Meet Your Match seminar 10 international winery principals with their chosen wines sit at individual tables to greet the seminar participants divided into groups of 10. Argentina, Australia, Canada (British Columbia), France, Germany, the United States (California) are represented here. 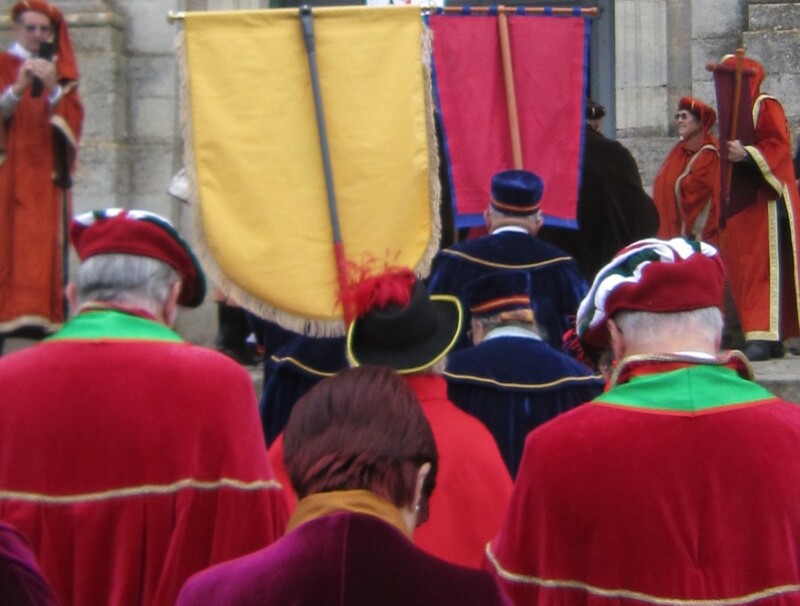 The event is choreographed so that the groups circulate clockwise from table to table after 8 minutes with each winery principal; each rotation signaled by the ringing of a bell. Standing to one side, it feels as though I am watching people dancing in slow motion around the perimeter of the room. Modelled on speed dating concepts, where people move from table to table meeting new people, it’s a popular event; fast paced and lively with great wines presented by the winery principal and often the winemaker. The sound of clinking glasses and general laughter increases with each rotation around the room. This is my third event this day as a volunteer wine pourer. I’m asked to assist at the Sebastiani table where Mark Lyon, Winemaker is going to present Sebastiani’s Cherryblock Cabernet Sauvignon 2008. The first group of 10 people approach the tasting table where each small group will take up 2 rows in front of the winemaker. Mr. Lyon asks me to pour tasting glasses for the people in the 2nd row for each of the 10 groups he will present to during the event. This gives me a unique opportunity to learn about the Sebastiani Winery and the Cherryblock Cabernet Sauvignon by listening to his presentation about the history of the parcels of land, the cherry orchard pedigree, the grape varieties and the soil type. The original block of old vines was planted on 10.8 acres of Sonoma Valley countryside in 1961 and 1962 by August Sebastiani. In 1985, Mr. Sebastiani renamed the estate Cherryblock with reference to its former life as a cherry orchard. Replanting of sections of the vineyard that succumbed to phylloxera commenced in 1997. The vines grow on Terra Rosa soil which is volcanic, rocky with low fertility yet good natural drainage. Originally a single-vineyard designation, the Cherryblock Cabernet Sauvignon is now a proprietary blend supported by vines from nearby vineyards with similar Terra Rosa soils. The wine is a Bordeaux style blend: Cabernet Sauvignon (80 – 90%), with other Bordeaux varieties, Malbec (0 – 15%), Merlot (0 – 10%), Petit Verdot (0 – 5%) and Cabernet Franc (0 – 5%). The percentages vary relative to the vintage. The blend produces a dense, structured wine with aromas of cherries, cassis, cranberries, cedar, leather, dried leaves. The Sonoma Valley climate is warm enough to ripen the Cabernet Sauvignon yet cool enough to retain the balance and acidity necessary for great wines. vintage together with his enthusiasm for making beautiful wine. At the end of the event, when the participants have drifted happily away, I taste the Cherryblock – a sublime experience of tasting a dense, greatly satisfying wine that according to Mr. Lyon will be even better in 5 years time. 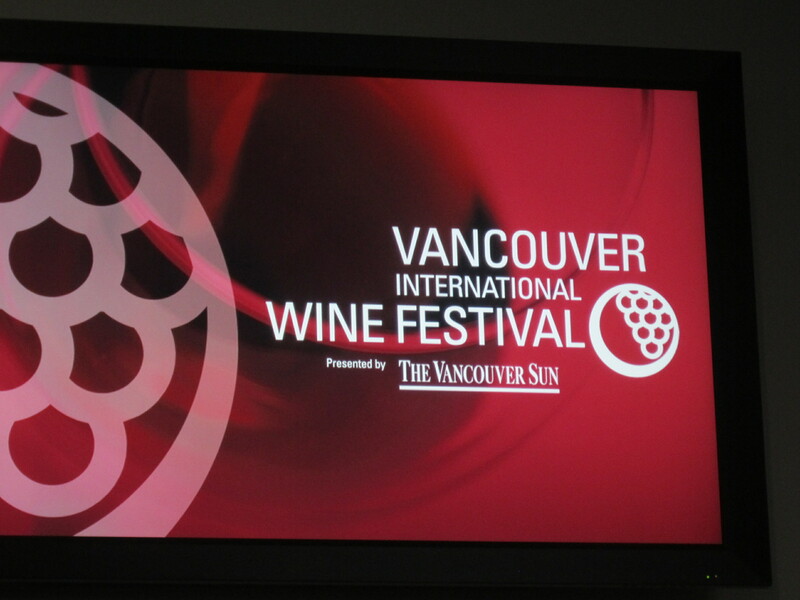 The 2013 Vancouver International WIne Festival was attended by over 25,000 consumers. 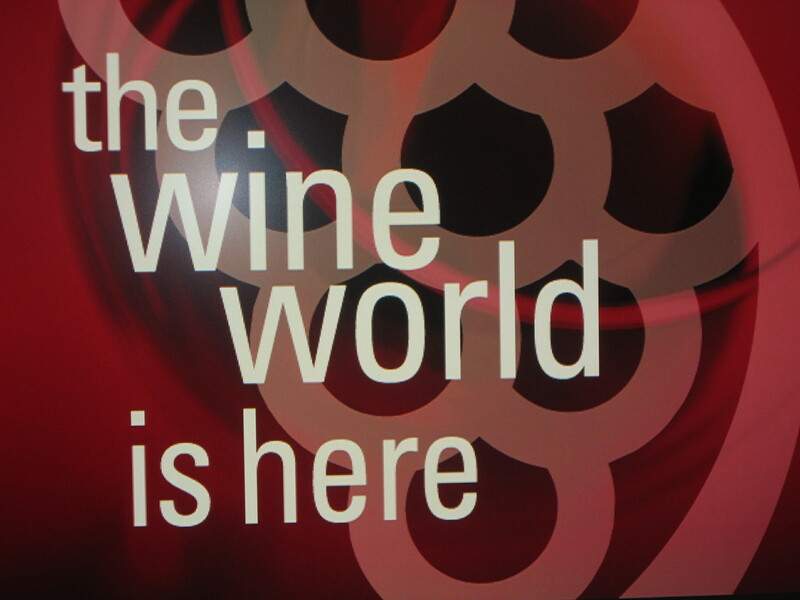 175 wineries from 15 countries were represented together with 62 wineries from the theme region, California. This entry was posted in culture, wine tasting and tagged bordeaux wine region, British Columbia, California Wines, Cherryblock Cabernet Sauvignon, Sebastiani Winery, The Vancouver Sun wine column, Vancouver International WIne Festival 2013, wine tasting notes by elizabethsvines. Bookmark the permalink. What a great experience. Your blog tempts me to return to California’s wine regions. Was Schafer vineyards at the festival by chance? There are so many exquisite wineries in the region, and I have fond memories of many.